By David Ponce on 03/18/16 • Leave a comment! Knives can come in handy in all kinds of situations, and definitely not just in self-defence. 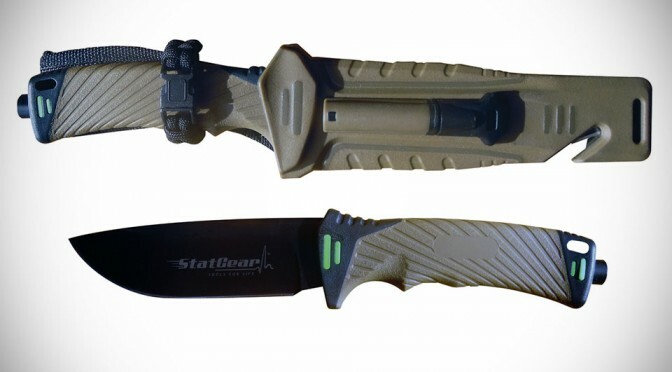 The StatGear Storm Rescue Knife is a more rugged tool that packs a ton of features. 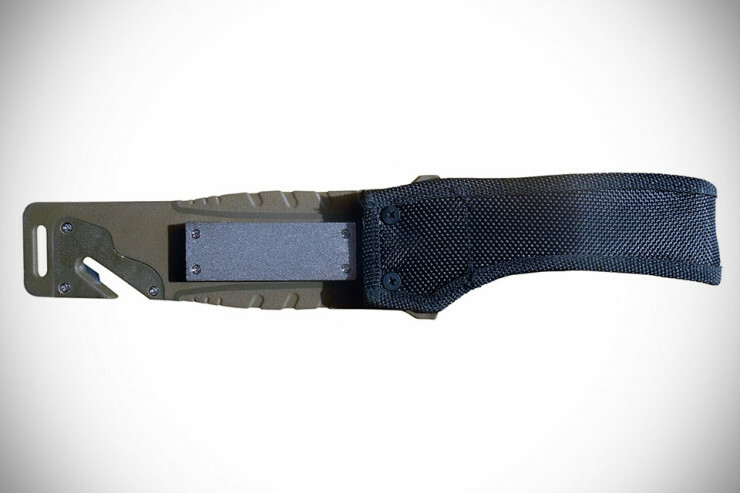 This isn’t just a knife, it’s a bona fide rescue tool. Slash a seatbelt to get out of a trapped car, slice through lines on a sinking boat, or in calmer times, easily open any package. 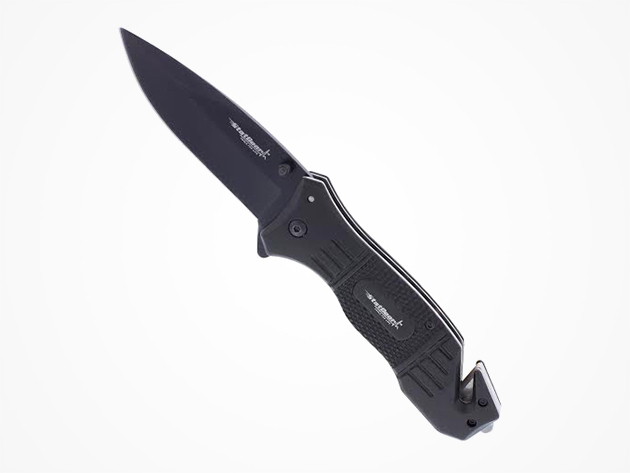 No matter the adventure, you’re going to want this ultra strong, lightweight, spring-assisted knife to save the day. Best part is how cheap this is, clocking in at $12.99 instead of the usual $20. And as usual, shipping is free. Check out GearHungry’s guide to the best pocket knives on the market. By David Ponce on 07/16/15 • Leave a comment! You have to put your fancy kitchen knife collection somewhere, but why settle for the traditional wooden block you see in almost any kitchen? 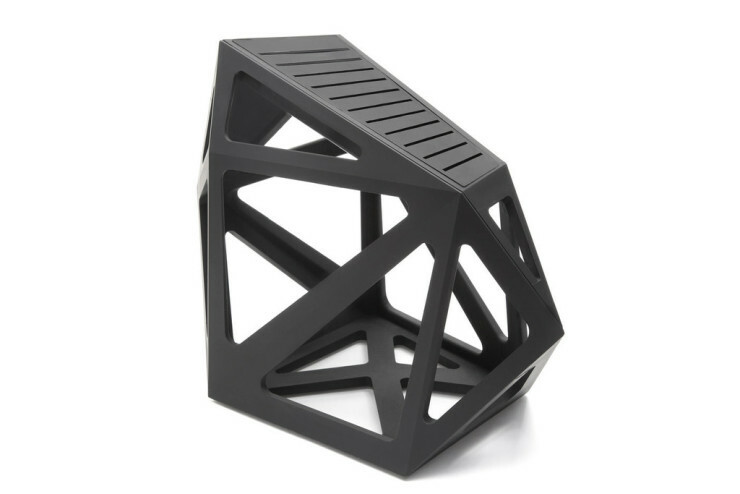 When trying to design a beautiful home, every little detail matters, and the Black Diamond Knife Block from company Edge of Belgravia is as striking of a knife receptacle as we’ve ever seen. 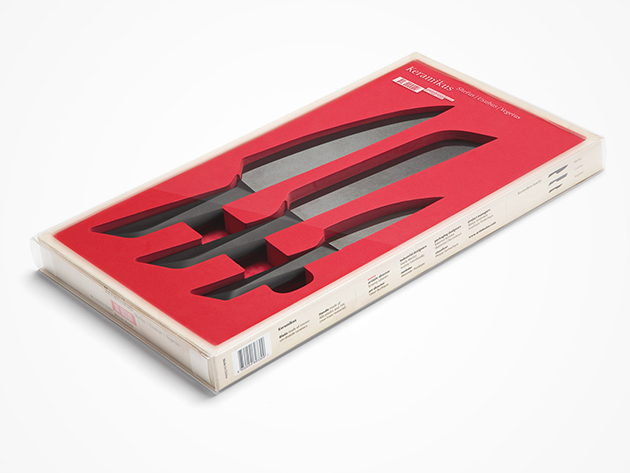 Designed by one Christian Bird, the block fits up to 11 knives, but will look complete with as little as two. Almost any type of knife will be supported, as long as the blade is thinner than 4mm. 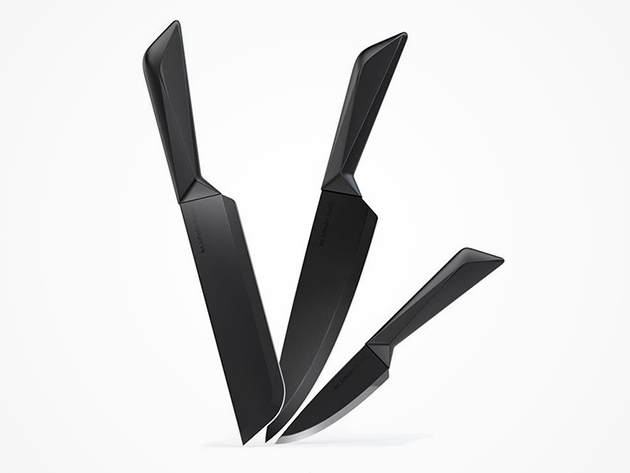 “Clever use of weighting secures the knives in their blocks, just as slight angling allows for easy extraction.” And for something that looks this expensive, we’re happy to report that it’ll only set you back £89.90 (about $140). 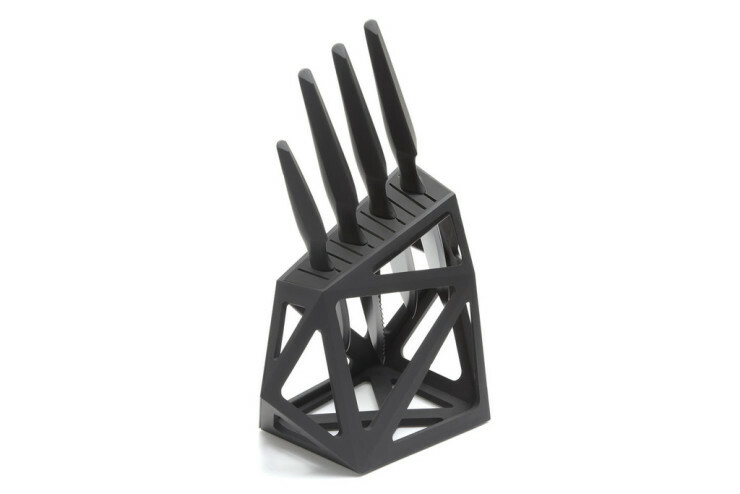 Oh, sure, it’s a lot of money for a knife block, we agree. But these designer items usually tend to fetch a few orders of magnitude more than they should. 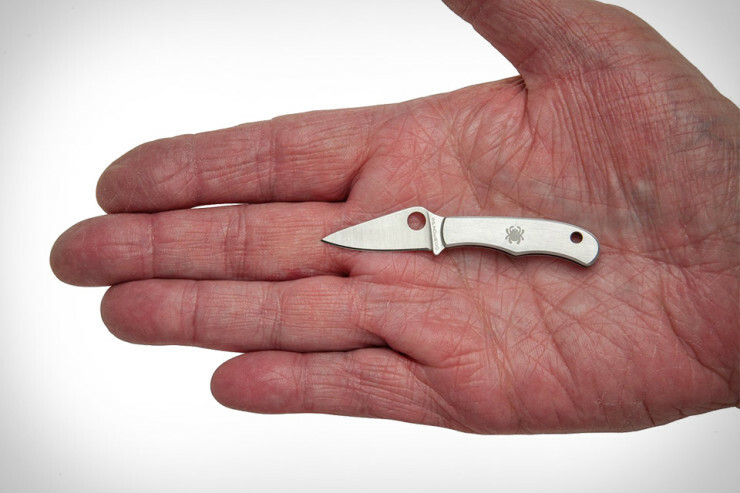 What Is This, A Folding Knife For Ants? We’re really not sure what you’re going to do with this. But the Spyderco Bug SS Slip Joint Plain Edge Knife is about as small a knife as we’ve ever seen. 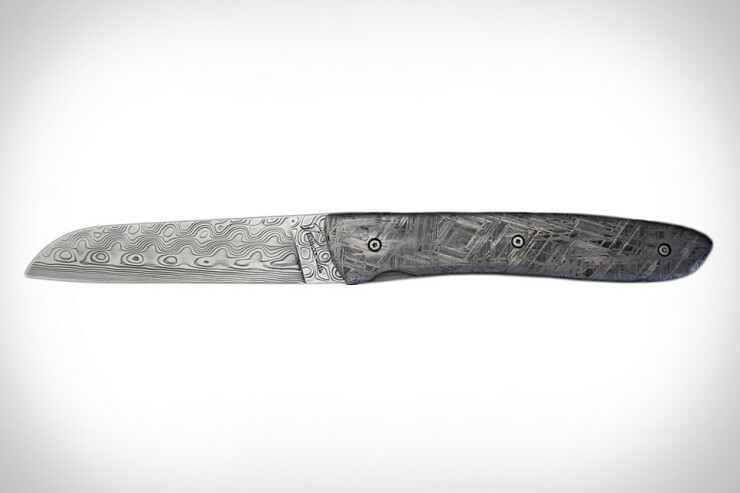 And it is an actual knife, constructed from 3Cr13 steel with a 1.125-inch cutting edge, but measuring a ridiculous 2.875-inch when open, and 1.625-inch when closed. The blade itself is 1.3-inch long. It has a small lanyard hole through which you can slip a rope, and either carry this as jewelry or attach to another one of your belongings so it doesn’t get lost. We suppose if you foresee having to cut a few boxes, this could be handy to have around. The folding mechanism features a non-locking, slip-joint design that keeps the blade open with resistant pressure at the pivot area when the blade is extended and being used. It’s made by Spyderco, so you know it’s a quality product, and at $12, it’s pretty darn cheap. It’s nice when something that looks cool also has equally cool functions to match. The Furtif knives, from the Evercut line by “TB Groupe, one of France’s established knife makers and also the only eco-friendly cutlery maker in that country with ISO 9001 accreditation” not only look like they were brought back from the future, they have a “laser-bonded titanium-carbide surface [that] lasts 300 times longer than standard steel and 5 times longer than ceramic, according to third-party testing.” This means that with regular usage you shouldn’t have to sharpen them in 25 years! Of course you’d expect knives that look like this and last this long to cost an arm and a leg, but you’d be wrong. 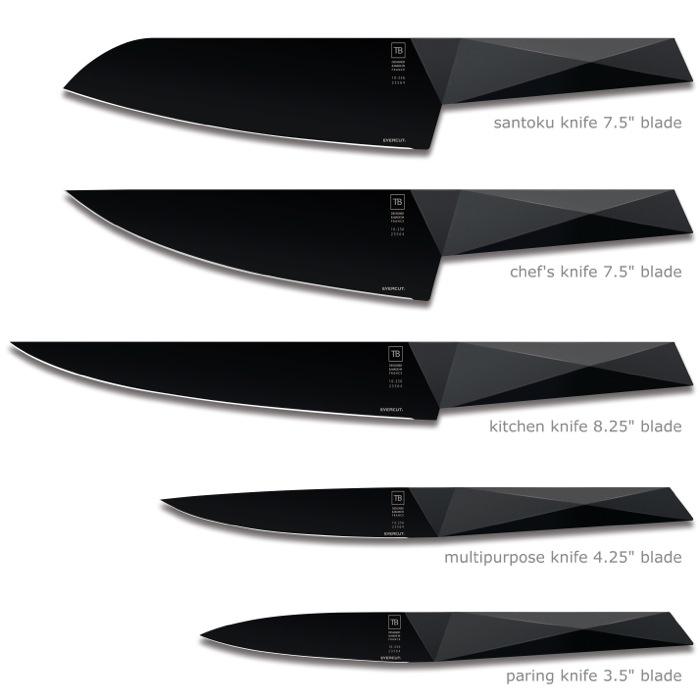 Most of them cost $138, while the paring knife is $78 and the utility knife is $92. Of course looks and durability isn’s all that there is in a good kitchen knife, so we won’t speak of balance, comfort, and whatever else discerning chefs might look for. But for the average kitchen ninja, these will do. By David Ponce on 03/30/15 • Leave a comment! Survival knives are all over the market, and they all boast differing always of features that make them more or less attractive. 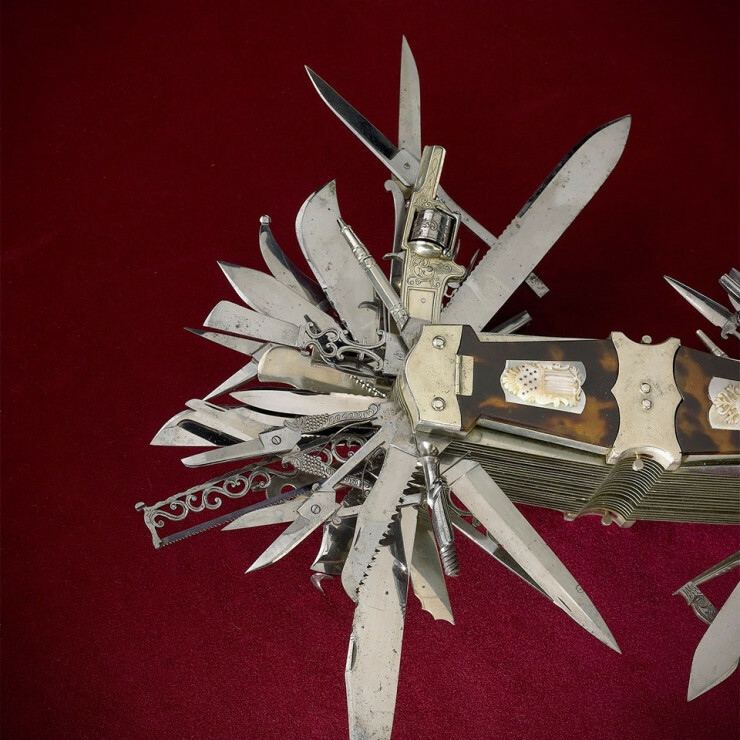 ; the Surviv-All Survival Knife happens to have some of the more innovative and ingenious ones. Particularly, the sheath features an opening towards the front that lets you cuts twine and other smaller ropes without having to take the entire blade out. Additionally, there’s a firestarter rod on one side, as well as a sharpening block on the other. It boasts a 4.25 inches long high carbon 440 stainless steel full tang, drop point blade that sees to your cutting needs, while a rubber textured, ergonomic handle ensures grip confidence. The latter also features a stainless steel pommell at the end of the handle too. 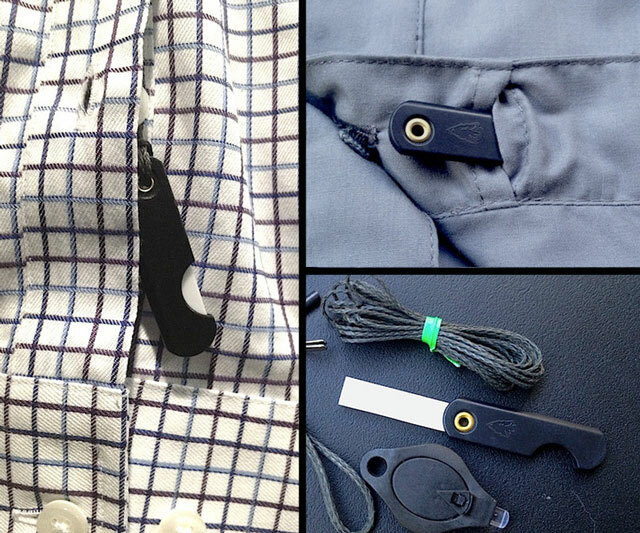 [There’s even a] patent-pending para-secure paracord handle strap that ensures the knife stays sheathed even in the roughest moments. It’s a nice looking knife with a lot of utility, which is why it’s extra attractive at its price point of $45. By David Ponce on 02/04/15 • Leave a comment! We can’t imagine that most people spend any amount of time thinking about what they’ll do if they ever get abducted. Yet these people do exist, or products like the Ceramic Escape Knife (CEK) would never get made. It’s a tiny blade, about the size of a pinky finger and weighing about as much as a penny (2.5 grams), that stays sharp 10 times longer than steel and will never rust. 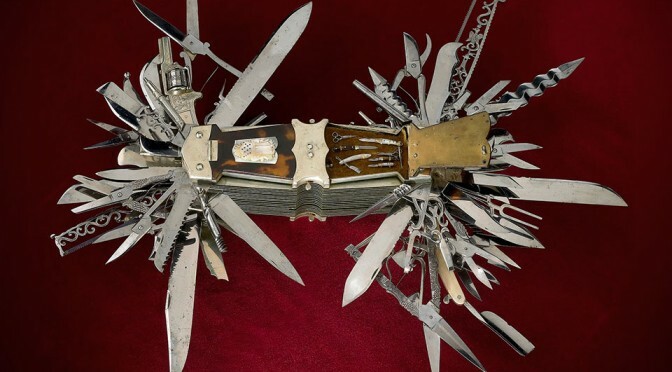 You’re supposed to hide it in a place that your would-be abductors would never think to check, and use it to cut your ties if you’re lucky enough for these to be made out of something other than metal. It’s all of $15, which is a really tiny amount to pay if you ever plan to venture if you’re going somewhere unsafe. Better yet, not going somewhere unsafe is free.